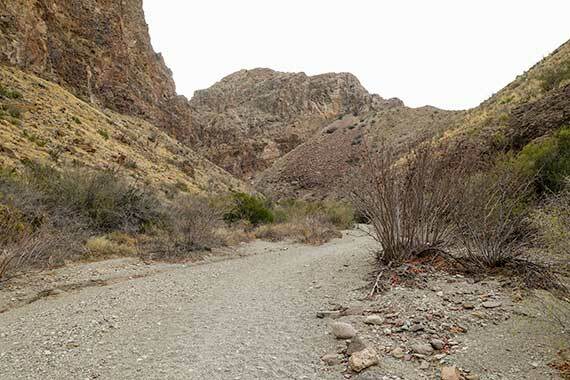 Burro Mesa Pour-off Trail is a great beginner’s or introductory trail for visitors to Big Bend National Park. It’s a nice short, mostly level, trail that ends in a small canyon with an enormous dry (most of the year) pour-off. You can also easily get to the trailhead in virtually any vehicle. To get to the trailhead for Burro Mesa Pour-off (29.233896, -103.407432), take a left out of Park Headquarters at Panther Junction and drive approximately 13 miles to take a left hand turn onto Ross Maxwell Scenic Drive to Castolon. From there, you’ll need to drive about 11.3 miles to a right hand turn for Burro Mesa Pour-off (29.219886, -103.414632). Take this paved road all the way to the end (about 1.8 miles) and you’ll see the parking area for the trailhead. 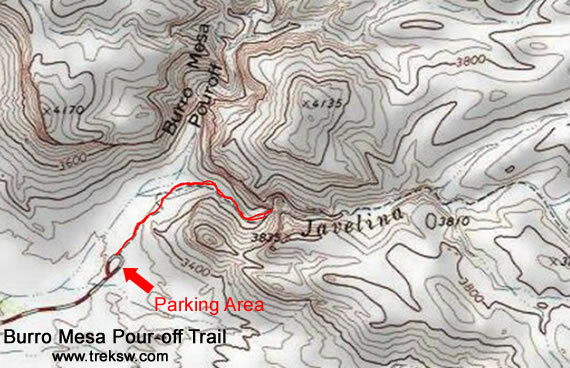 The trailhead begins on your right hand side as you park your car in the parking lot. As you get ready to step onto the trail, you might have a tendency to think the small pour-off you can see in the distance is your final destination. It isn’t. 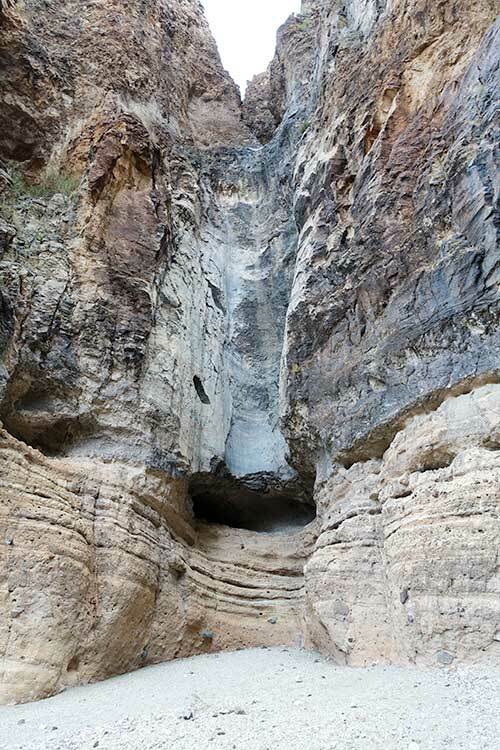 You’ll actually veer to the right once you get closer and head further into the canyon. 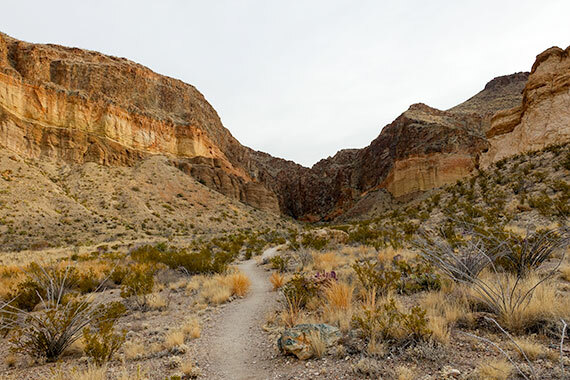 The trail begins clearly marked and gently slopes downward into the canyon as you hike. If you’re a geology buff, this is a good area to see the delineation between the various formations in the area. 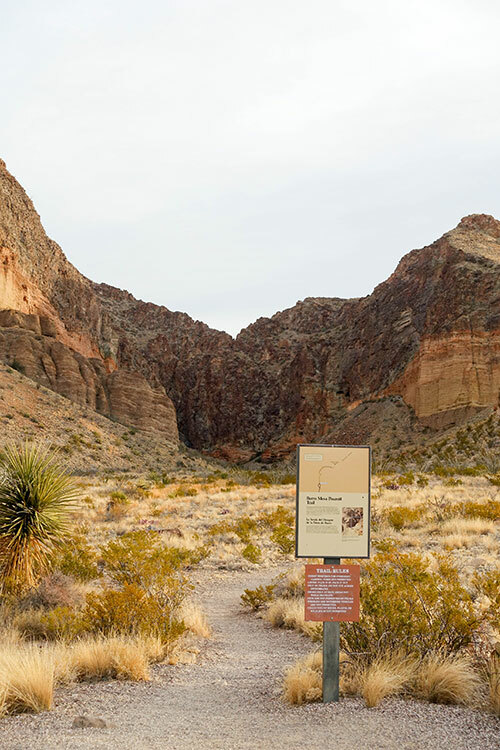 As you get closer to the small pour-off that was visible from the parking area, you’ll see where the National Park Service blocked the path with some rock, which will divert you into the dry wash on your right. From this point, you just hike into the canyon until there isn’t any more trail. At the end of the trail you’ll finally reach the pour-off. Looking at the picture above, it’s hard to understand the scale of the pour-off. Unfortunately, I hiked this one solo and didn’t have somebody with me to stand in the shot to give you a better idea of how tall the canyon walls are. They are massive. When you visit, don’t be tempted to try to climb on the walls. The rock here can be loose. Also, be careful in the rainy season. As you can see from the pour-off, an immense amount of water can rush through this area in a thunderstorm. 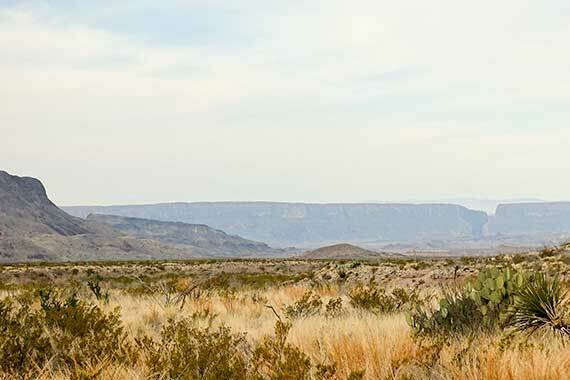 On your hike back to your vehicle, you’ll have some beautiful views straight into the mouth of Santa Elena Canyon (about 13.5 miles away as the buzzard flies).